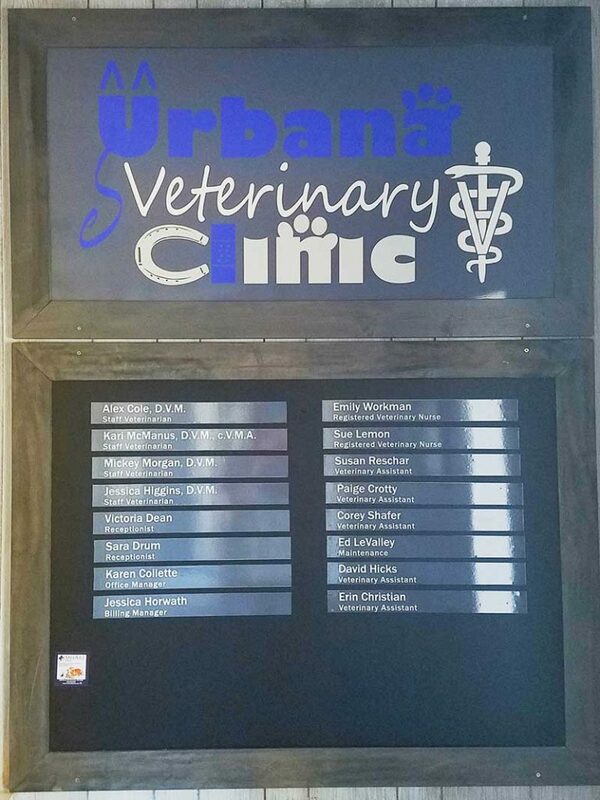 Urbana Veterinary Clinic is a full-service veterinary medical facility, located in Urbana, OH--We offer affordable high quality medical, surgical and dental veterinary care to Urbana and surrounding areas such as Mechanicsburg, Saint Paris, Cable, Woodstock. Our friendly and professional team is committed to promoting responsible pet ownership, providing preventative health information and ensuring the welfare of all animals.Urbana Veterinary Clinic strives to offer excellence in veterinary care to Urbana, Ohio in west central Ohio (Champaign County). We also offer limited food animal services for cattle, sheep, goats, llama and alpaca brought into the clinic.Contact us today at (937)653-7326. Find out how Urbana Veterinary Clinic can serve your needs and help the animals you care for. I've been taking my dog and cat here for approximately five years, and I've had amazing experiences with Dr. McManus, Dr. Cole, and Dr. Higgins. These veterinarians and their staff are great at their jobs, and also sincerely love animals! They've always given me the best advice to keep my little buddies happy and healthy. The staff was so great. We unfortunately had to put our cat to rest and they were so helpful, kind, and patient. Their kindness made the process a smidge easier. You can just tell how much they love animals, and that makes it that much better to trust them with your pets.